I’ve been meaning to write this article for a while now. This time last year I had suffered an injury to my L5S1 Vertebra. I had received this over time from carrying tanks, loading and unloading trucks, and from every time I overreached for something in my truck. It was compounded with every gym session or cardio session I did that didn’t finish off with some basic stretching. And yet I knew I should stretch, but kept procrastinating. Well, finally my back decided enough was enough. The injury was getting worse and worse every day. It was making my life miserable every day. Luckily when I was diving, it was not painful at all. The pain was so intense it was to the point whereupon I couldn’t take it anymore and decided enough was enough. Luckily my girlfriend was visiting and is a doctor, so she picked up the phone (on a Saturday) and I had received my doctor’s appointment for one of Montreal’s top spinal doctors for the following Monday. So the next day off I went to Canada, and to receive treatment. After the appointment, it was then off to the pharmacy to receive the million different pain meds I was to take that ended up being for 8 months straight. I also had to use a walking stick to move around, something that all the lads back at ProTe seemed to find very funny, along with all my old army mates too. During my time literally laid flat on the floor in-between icing every 2 hours I researched and researched lower back injuries. And I found it’s so common. That research figures suggest 1 in every 3 people will have some type of back “pain”. Wow, I was astonished by this information. My research kept coming around to the same web pages and to one common denominator, the work of Dr McKenzie. I’ve come to know his work very well since it’s all I’ve been doing all year to help with my back problem. There are, of course, just as helpful other information on the web, however from seeing physiotherapists in Canada, and speaking to spinal surgeons in the UK, they all recommend the aforementioned McKenzie exercises. So I started on the track of doing these exercises every day, sometimes 3 or 4 times. As I literally couldn’t walk, so I would roll out of bed, roll onto the sofa to roll off the sofa, do these exercises then ice, roll onto the sofa and repeat every 2 or 3 hours. As soon as I could, I received physiotherapy AND osteopath treatments sometimes 3 times a week. Both making sure I would never suffer this type of pain again. I then returned to work around 6 months later. Packing a few extra pounds of course, as Montreal is a real foodie paradise. And I ate and ate and ate ha ha ha, there are some very unflattering pictures of Rob floating around now I can tell you. And every now and then one of the team members will drop one into the groups what’s app chat just to remind me how much weight I’ve put on. Gotta love hazing!!!! 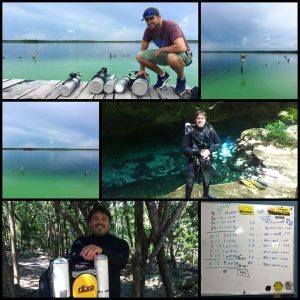 We’ve all seen at the cenote the team of divers smoking while debriefing, smoking while setting up the gear, literally smoking while walking to the water in their gear. We’ve all seen the overweight divers. It doesn’t stand out as being professional or just plain healthy. Everyone has a choice, of course. And we must all respect that. Being an instructor in Mexico’s busiest and best cave diving facility means that every day is pretty tough on the body. 0515hrs I’m up for the gym. After the gym it’s off to work for a day’s diving/teaching loading/unloading trucks etc can be tough. It’s very important for us here at ProTec to give out the message of being healthy and being a role model to our students. Because if you cut corners on things, you take this bad habit into the water and you may cut a corner that will then bite you in the backside. I’ve made a real effort to change some things that I think will help. Like I am wearing boots now instead of flip-flops when carrying tanks, so I don’t slip on wet rocks or those wet steps we all see on a daily basis at the cenotes, I am also suggesting everyone does the same or at least try, I really find it helps. Especially in a remote place like Naritz. I am trying to lift my tanks correctly so to not hurt my back anymore and most importantly I am stretching way more than I used too. I stopped carrying 2 sets of doubles at the same time because “ I want to look strong” I think it’s stupid, and an injury waiting to happen. I even stopped wearing doubles full stop for last part of last year. What is surprising to me is, the more people I teach the more I hear that people suffer from back pain in some way. Everyone I talk to who currently don’t have back pain gives me that same look of “I won’t ever get back pain I am special” haha I simply tell them, it’s not if you will get pain, it is a case of when you will get pain. I exercise regularly (trying to lose the poutine weight I put on in Canada for several months haha), I eat well, stretch a lot more now. This short article is not a training schedule it is more about trying to get people to incorporate a little “TLC” into their everyday lives. So, this year I am making a more concerted effort to get fitter, become more flexible and to spread the healthier word as to say. This year is my year to get fitter and healthier, make it your year too. Like I said this article isn’t a training program, it is simply to encourage everyone to look after your back and become a healthier you. Especially if you are currently working in the industry or just simply an avid diver. Someone once said to me “we either pay now with a little sweat and effort, or we pay later with our health”. Well, I paid now with bad lifting techniques and significant financial loss because I was also amazed to hear that DAN insurance doesn’t cover this type of injury. So if only I had listened to my own body after working out and did a little stretching. So when you visit ProTec next, you will see me running around making a fool of myself telling people to lift properly, or helping people carry boxes. I have been working in the diving industry since 2010, having become a PADI instructor in the Dominican Republic. 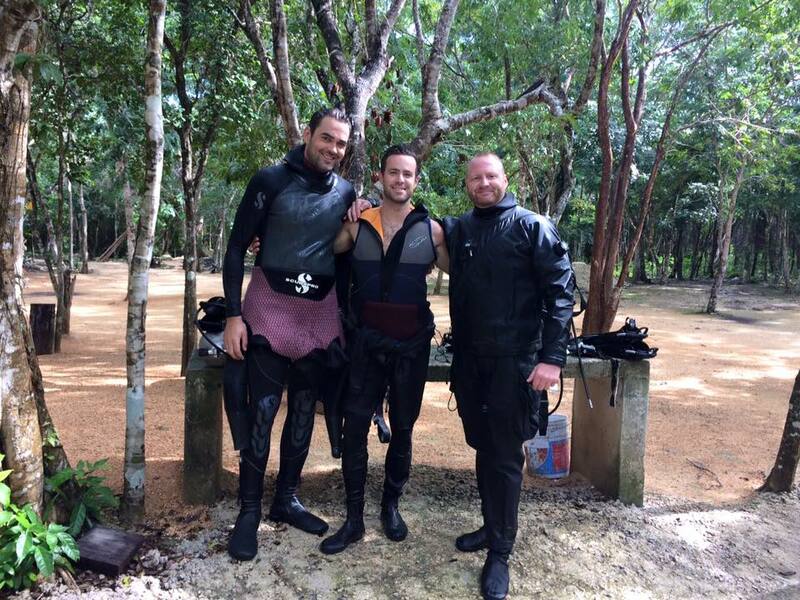 I began my diving career like many others, super enthusiastic about teaching and diving. And of course, I was a complete fish geek. I spent several years working in and around the Caribbean teaching and guiding recreational divers, of all levels, in “factory style” dive centres. Over time I found myself becoming more and more disheartened by the type of training that was on offer. Having to train people in a potentially dangerous activity, with the emphasis on meeting performance requirements, certifying and moving onto the next one. No mastery of skills, just do it, get it done, get your license, out the door. Whilst this style of teaching has allowed more and more people to access diving it is not doing anyone any favours. 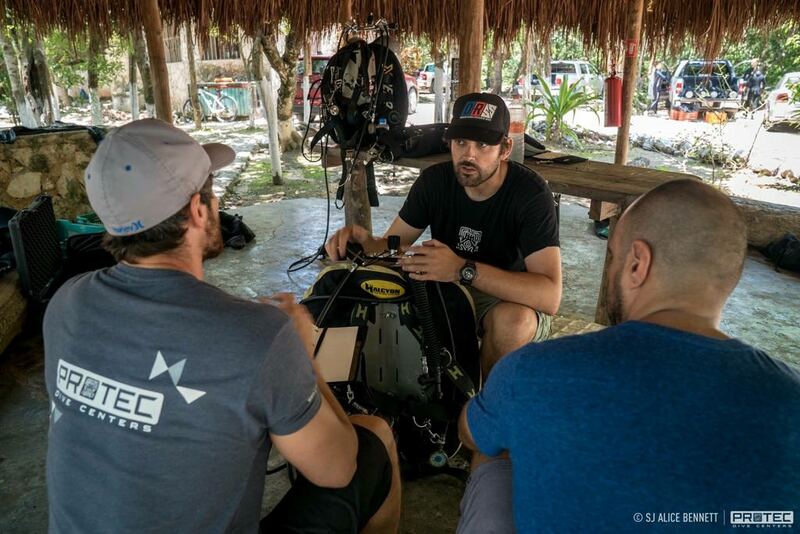 The student, the instructor and the dive industry. No one benefits from this style of teaching. I saw people being set up to fail before they even began. I witnessed many of my colleges give what I would consider bad courses. Commission driven bonus’ ensured those under financial pressure would do whatever they could to teach as many people as possible. I wanted out of the recreational diving industry. I had quite a well-paying job at the time and decided that I would save up my money and take my closed bell training at Fort William in Scotland to become a commercial diver and work in the North Sea. I knew that having spent the last 6 years working as a dive instructor I couldn’t go back to a normal job. I saved as much money as I could every month until I reached my goal. I now had the finances I needed to get trained as a commercial diver and leave the industry that I was becoming more and more disheartened with as each day went by. Just when I was ready to book my course and go down the commercial diving route the oil industry collapsed. I spoke with my friend who had worked in the North Sea as a saturation diver and he explained to me that with all his experience and working history he is struggling to find work right now. He advised me to put the course on hold until things started picking up again. At the time, I thought this was “just my luck” but it turned out to be a blessing in disguise. Working as a dive instructor my whole adult life, having a lot of money was not something I was used to. This cash was burning a hole in my pocket and against my better judgement, I decided I could spend this cash and work another couple of years to save up for the course again. This turned out to be one of the best decisions of my life. I wanted to do something for myself. I had spent the last years of my life catering for other divers, now I wanted to be catered for. 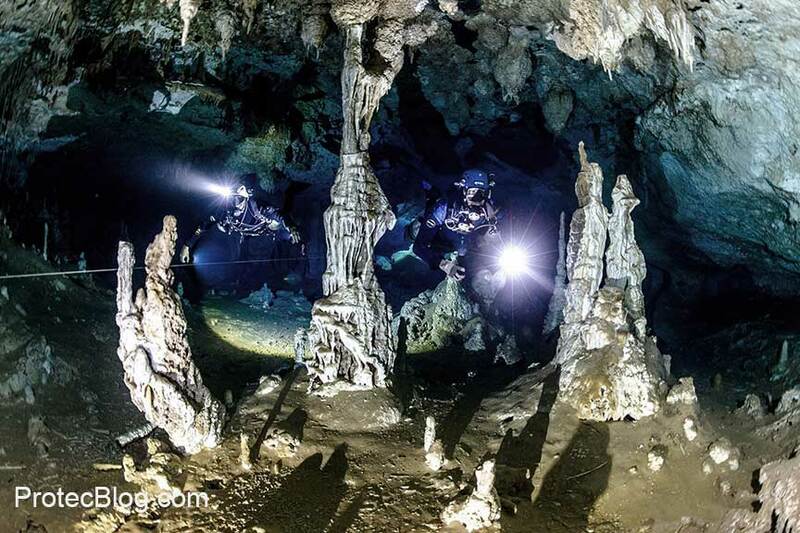 I decided that I would put my cave diving license to good use and take a trip to Mexico. I specifically targeted several people in the Yucatan. These were people who I had been reading about in books, watching documentaries on them and now I had the chance to dive and get trained by them. I was stoked. One of those people I contacted was part owner and training director of ProTec, Patrick Widmann. Patrick was very honest and upfront about what could and could not be done during my stay. He was super responsive to my emails and very personable which I liked. Like many of those reading this article, I sent my deposit to ProTec via PayPal and it was set in stone. I was ready to get back my passion for diving. I spent my first couple of days doing a cave refresher with Jaime which was a huge wake-up call. I came in thinking I was good in the water. Then you look across and see Jaime holding position on the line, not moving a muscle. Anyone who dives with Jaime will know he’s a complete ninja. I wanted some of that. So I changed my plans for the month and ended up taking my full cave course all over again with Rob Bartlett. After the first week diving with ProTec, I realised that my impressions of the dive industry as a whole were impacted by my personal experience and discontent at previous jobs. There was still excellent diver training out there, I just had not been exposed to it yet. As each day went by me I was regaining my passion for diving. I spent 31 days in Mexico, 30 of those days I spent diving with ProTec. 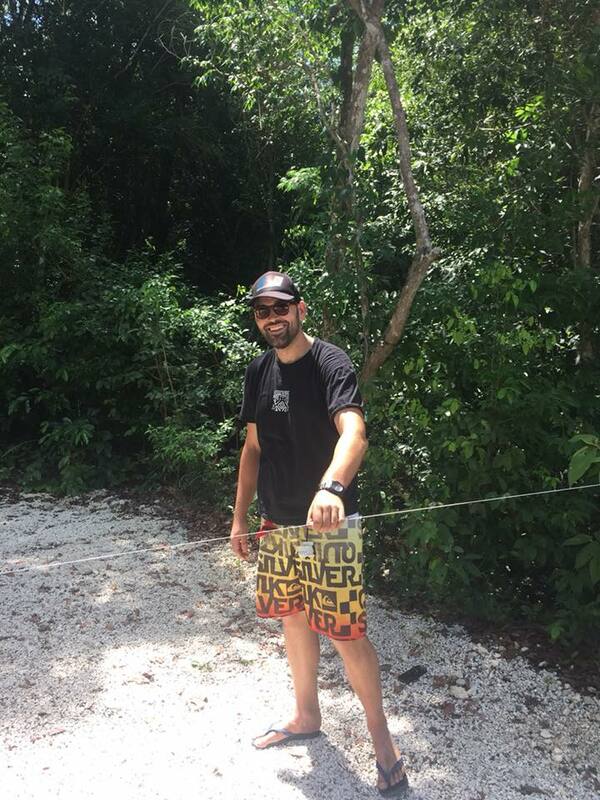 At the end of my stay, I spoke with the guys about maybe moving over to Mexico to work as a recreational instructor and go cave diving in my free time. One year down the line the time had come. I rocked up to ProTec to meet Rob and go diving. Not as a tourist but a resident. To have these amazing caves on my doorstep is such a privilege. The first couple of weeks I had to pinch myself to make sure it wasn’t a dream. Rob took me under his wing and took me diving whenever he could, giving me the inside scoop and tips on living in Playa Del Carmen. After 1 month in Mexico, I was ready for a new challenge. I wasn’t enjoying my job here as it was again in a factory style dive shop with pressure on instructors to sell and teach as much as possible. I spoke to my friends at ProTec about this and was told I should speak to Patrick and Kim Davidson about doing an internship. I couldn’t believe my luck. I emailed Kim and Patrick and within a week I had a face to face meeting with Kim. It went really well and he was happy to give it the go-ahead but needed to confirm with Patrick. About a week after I had my meeting with Patrick. I told him about what I was aiming for in my diving career, my strengths, weakness’ and what I could bring to the table. He told me he needed to speak with Rob and will get back to me. I found out I got the job when Patrick added me in the work WhatsApp group. “Elzar is in” were his words. Since that day I have been continuously trying to improve myself not only as an instructor but as a diver too. Being part of the ProTec family is immense. And being surrounded by all these passionate, experienced divers makes the learning process so much better. I get to dive some of the best caves in the world on a daily basis, and I’m surrounded by great people. Not a bad life ay. I’ve now found myself in a position where I can teach the courses I’ve always wanted to be taught and can understand the importance of proper training. Getting to see the difference in the divers we create compared to what had seen in my previous job’s makes all the difference. There was lots of doubt in my mind about moving to Mexico, leaving a lifestyle I was familiar and comfortable with. But this has turned into one of the best decisions of my life. Remember life starts just outside of your comfort zone.